The Gustavus Wind Orchestra, under interim conductor James Patrick Miller, welcomes guest conductor Timothy Mahr to Christ Chapel for its final 2009 performance on Saturday, May 2. The concert includes a premiere performance of This Dark World by Gustavus junior David Mann, and soloists Hanna Schutte, xylophone and Abbie Johnson, piccolo. The concert begins at 3:30 p.m. in Christ Chapel and is open to the public at no charge. Interim conductor James Patrick Miller has programmed this concert to demonstrate the variety of works written or transcribed for wind orchestra. He opens with Dana Wilson’s Shortcut Home, written in 1998 and Gladsome Light (Op. 43, No. 2) by Pavel Tschesnokoff, composed early in the 20th century. Following the premiere performance of David Mann’s This Dark World, Miller and the wind orchestra continue with Benjamin Britten’s The Courtly Dances and Charles Ives’ The Alcotts. Following intermission, Conductor Miller introduces composer and conductor Timothy Mahr with a performance of Fantasia in G, written by Mahr in 1983. Dr. Mahr, conductor of the St. Olaf Band since 1994, then takes the stage and to lead the Gustavus Wind Orchestra in his 2007 composition, Imagine, If You Will. Saturday’s performance concludes with Grainger’s Irish Tune from County Derry and Gloriosa, composed in 1990 by Yasuhide Ito. 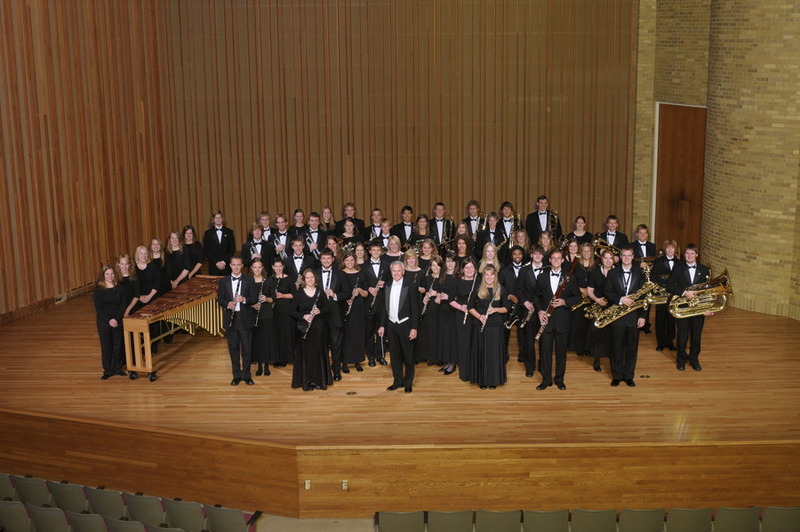 The Gustavus Wind Orchestra’s Honors Day Concert begins at 3:30 p.m. on May 2 in Christ Chapel. The performance, featuring guest soloists, a world premiere and guest conductor Timothy Mahr is free and open to the public.